WESTLAKE VILLAGE, CA, April 19, 2018 /24-7PressRelease/ — ETMA, the Enterprise Technology Management Association, hosted a successful conference gathering CEOs and presidents from its member firms. Speakers and panelists addressed the theme of “Managing in the Age of Disruption.” The conference had many highlights tackling artificial intelligence, automation, the European Union General Data Protection Regulation (GDPR) data privacy regulation, human-centered design, mobility first and evolution of the tablet, the Internet of Things (IoT) vendor carrier consolidation and other topics. The conference also included rebranding of the association from the Technology Expense Management Industry Association, TEMIA to ETMA. There were inspirational awards for ETMA’s Hall of Fame and Partnership Achievement Award. Round table discussions and networking activities provided members with opportunities to develop valuable new business alliances. “The content shared at the ETMA conference in Nashville was not only relevant but also visionary with a sharp focus on the future of our industry. I am completely thankful for the thought leadership among my peers,” said, Jane Sydlowski, President of AMI Strategies and ETMA board member. ETMA looks forward to hosting its members at its next conference in the Fall of 2018. ETMA’s Executive Board is developing the agenda, planning guest speakers and working to improve other conference features. Many of the highlights from the Nashville conference will be included with new topics designed to stimulate discussion and challenge participants. 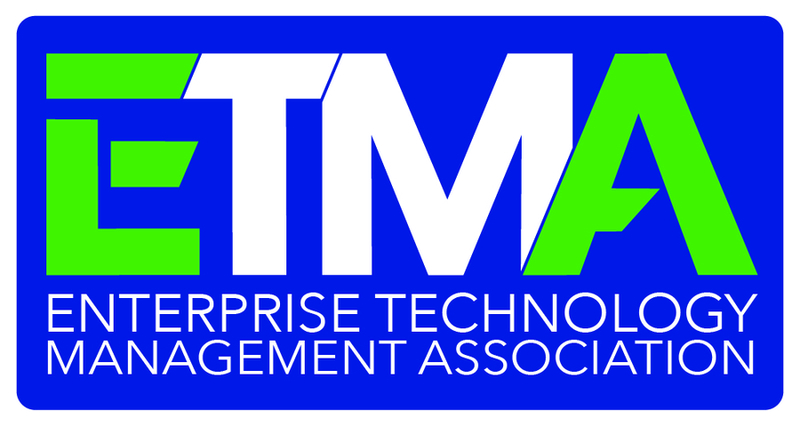 ETMA, the Enterprise Technology Management Association is an independent non-profit organization with approximately 50 members managing over $71 Billion in enterprise expenses. Its ongoing mission is to raise awareness, foster industry growth, improve the quality and value of solutions, and establish industry standards. Further, ETMA members subscribe to a Code of Ethics, which clearly establishes standards and differentiates their level of commitment to their clients. ETMA does not sell consulting services or solutions.